Got a Marvel fan in your house? 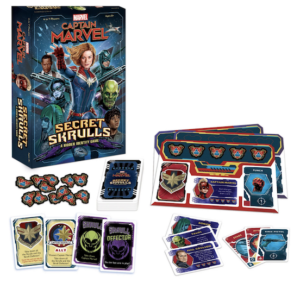 Take the superhero movie storyline from the screen to the family table with Captain Marvel Secret Skrulls, a new game from USAOpoly. Look for Captain Marvel Secret Skrulls in the video or games aisle at your local Target, or purchase online here.